Frantisek Janecek opened a mechanical shop in Prague that made armaments for European armies. After WWI that business declined and he decided to diversify by building motorcycles in 1929. 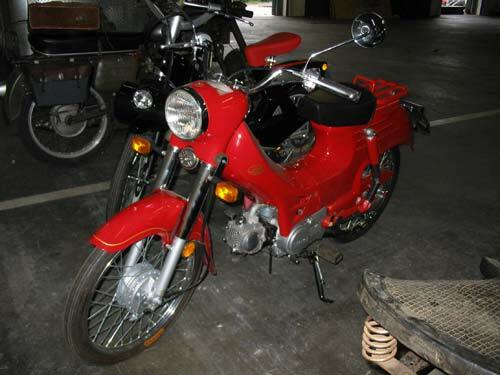 Wanderer was a motorcycle maker at that time, but eventually ceased production since it was not profitable. Janecek bought Wanderer’s business and made improvements to the bikes. The business name was also changed to Jawa – a concatenation of the first two letters of their last names. Jawa developed reliable and reasonably-priced motorcycles throughout the 1930s and 1940s. In 1948 Jawa was forced by socialist economic planners to merge with another Czechoslovakian motorcycle manufacturer – CZ. Although Jawa CZ continues to make motorcycles to this day, their most innovative and advanced designs ended with the onset of communist rule. The dissolution of Czechoslovakia, and dismantling of the socialist economy led to the formation of two separate motorcycle builders – Jawa Speedway bikes are again popular and successful, while the Jawa Consumer bikes continue to struggle with old designs and quality issues.